This Household Health Insurance Company Review explores Mettawa, Illinois-based HSBC Insurance Company. Household Finance International was sold to international banker HSBC Holdings in 2004. HSBC Insurance doesn’t sell traditional health insurance products and services. The company does offer insurance related to the credit card division, including hospital plans, short-term medical/gap insurance, and travel insurance. Additionally, the company sells specialty and credit insurance throughout the United States and Canada. The former Household Insurance Company was merged with HSBC’s Insurance division. HSBC Finance offers people with less than perfect credit American Express, Visa, MasterCard, and Discover credit cards. In addition, the company issues specialty label credit cards for retailers (including furniture, department stores, electronics, and furniture outlets). Cardholders of Orchard Bank and other HSBC brands usually purchase non-traditional health and other insurance products with a credit card. If you’re thinking about health insurance rates, why not request free insurance quotes by providing us with your home zip code today? Then, continue reading about Household Health Insurance and learn whether the health insurance products of the company suit your individual, family, or business needs. HSBC Insurance markets a variety of non-traditional health insurance products through the company website and at HSBC Bank branch locations throughout the United States. According to the company website, these plans offer flexibility and financial support in the event of a medical illness. Hospital Cash Insurance offers policyholders with round the clock coverage in any domestic or international location. The plan is considered a supplement to “existing” medical insurance. The policy helps to cover hospital expenses and reimburses out of pocket expenses up to 10 times the actual cost. Existing policyholders with insurance of five years or more may receive a 30% return of premiums for a no claims history. Policyholders may choose from four levels of coverage. According to the website, premiums for the program are unlikely to increase with the policyholder’s age. The program offers a 48-hour claims approval processing service. The plan may cover an individual or family, including children. HSBC’s FirstCare Medical Insurance Plan benefits global travelers seeking a comprehensive health and medical plan. The program combines in-patient, outpatient, maternity, and dental benefits, among others. Policyholders may choose from four benefit levels: basic, essential, privilege, and company top-up. According to the company website, overseas treatments at any hospital are covered. The plan offers deposit guarantee services in certain mainland China (designated) medical centers and hospitals. HSBC health insurance products and services are sold to individuals and businesses through the company’s national and international branch bank network. The company also markets insurance products online and via statement stuffer promotions. The company’s proprietary financial advisor workforce markets insurance products and services to existing and new clients. The company competes with Bank of America, JP Morgan Chase, and Citigroup most directly for bank-marketed insurance products. The company also competes with American Express, Citizens Financial, Capital One, Key Corp. and M&T Bank on a regional basis. 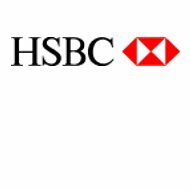 HSBC Holdings (originally known as Hong Kong Shanghai Bank) is one of the largest financial institutions and corporations in the world. The company ranks among The Financial Times of London’s FTSE 100 list, the Dow Jones Global Titans, the Hang Seng Index, and the Stoxx Europe 50 Index. The company maintains more than 7,500 banks in 80 countries, and employs approximately 307,000 people around the world. According to company financial statements, HSBC Holdings generated about $98.92 billion in sales during fiscal year 2010, and reported a negative sales growth of about 4.64% during the period. The company earned $13.16 billion in fiscal 2010, and net income growth of approximately 125.6%. The company reports total assets of about $2.455 trillion and a market value of about $157.4 billion. HSBC Holdings announced plans to divest the U.S. credit card portfolio to Capital One Holdings in 2010. In addition, HSBC sold HSBC Insurance Brokers in the UK to Marsh & McLennan for approximately £135 million (about $218 million) in a stock and cash exchange transaction. The companies then decided to work together in a strategic partnership: Marsh & McLennan will market risk management and insurance products and services to HSBC’s banking clients (high net worth and corporate clients). Don’t wait another minute to compare your health insurance rates with free health insurance quotes by typing in your zip code!